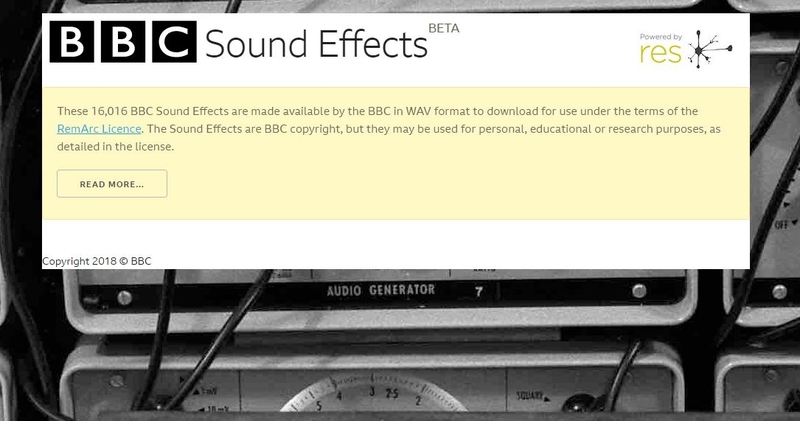 here is the bbc sound fx library. 16000 samples available for non-commercial use. thanks, wasn't sure where to put it. I just tried going to the link, but I can't seem to access the samples. Works on my phone, but none of my desktop browsers. It works for me on my phone as well as on my computer using Chrome, but it does have a delay before showing all of the samples. It even appears to finish loading the site before the samples pop into view. No indication of loading progress though. Its quite literally the worst website i have been to in the last ten years. Just about runs in Safari but is so cumbersome (30 seconds before sounds start to play) that is complete crap. 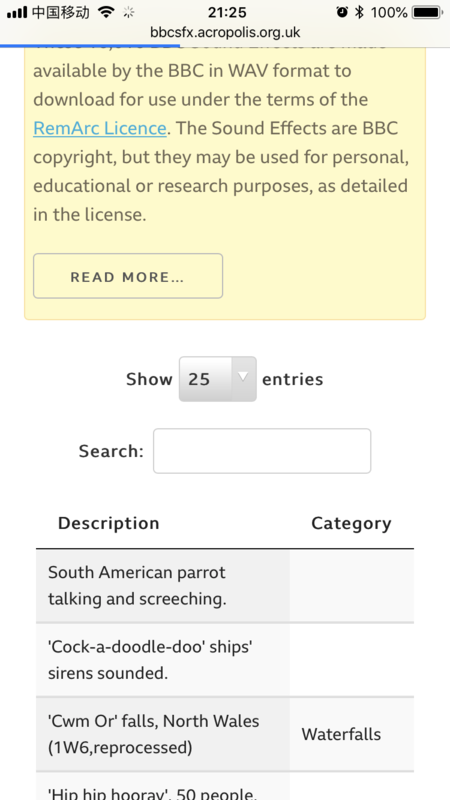 the bbc sound fx library has always been a goldmine for people. the samples are high quality. they used to have cds in my local library that you could borrow and take home, but you would have to be put on a list and wait until it returned, the waiting list seemed to be weeks and even months. i would guess that a lot of people are viewing this site at the moment and grabbing samples, so possibly this is affecting loading times. if you have any interest in using samples and sampling it's worth the wait. Yeah you can get them via torrent, i did it years ago, make sure you get .wav or .FLAC though, the MP3s are crap. For what it's worth i have these on original CDs and the ultra ultra mega uber rare Vinyl set too lol. The sounds were all very dated when i got them at the end of the 80s start of the 90s, but there are some gems in there. Anyone know of a way to download all of this without the legwork? Someone mentioned jdownloader on another forum. Anyone used that? @5pinlink maybe? Or if anyone has already figured way to grab them all maybe they could upload a zip? Would be super appreciated! Im pretty sure I have some of these on vinyl (from memory I think like a Halloween kind of one, and a Kids kind of one) but both records are pretty beat up IIRC and would be very cool to have the whole enchilada as wavs in a BM3 sample folder..
doesnt the total library come to around 200gb? I dont think there is anyway to leech sites anymore, so a single global download is unlikely. I will look to see if i still have thd links to the NASA and Underwater research repositories too.